The Government’s working principle of “Discipline, integrity, action, creativity and efficiency” has achieved high consensus and strong response from the political system, business community, entrepreneurs and people nationwide. Vietnam's gross domestic product (GDP) growth reached 7.08% in 2018, the highest in 10 years and among the highest in the region and the world. The GDP expanded sharply to over VND5,500 trillion (US$239 billion) and the per capita GDP was US$2,587. The improved investment and business environment boosted the optimism of the business community, entrepreneurs and investors. Business trend survey results for the first quarter of 2019 showed that 85.1% of respondents see good and stable trends over the fourth quarter of 2018. These data are shared by Dr. 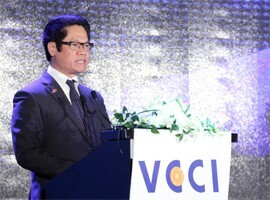 Vu Tien Loc, President of the Vietnam Chamber of Commerce and Industry (VCCI), on Vietnam’s economic achievements in the past year. 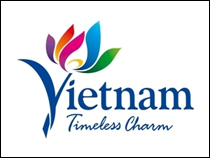 However, Vietnamese businesses and entrepreneurs face numerous difficulties and challenges. The business community highly appreciated the Government's reform efforts in the past year, featured by the fight against corruption, administrative reform programs aimed to reduce 50% of business conditions and specialized inspection administrative procedures, e-government development and digital economy development. 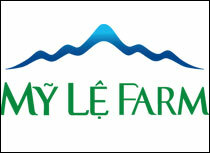 But, compared to other countries, Vietnamese companies are still burdened with informal charges and bureaucracy. What do you think about this issue? In 2019, world and domestic economies are forecast to undergo complicated and unpredictable developments, with advantages and challenges intertwined. Although the local investment and business environment has improved, legal regulations remain inadequate, overlapped and inconsistent. This results in ambiguity. Coupled with other regulations, this obscurity gives rise to policy gaps which are easily abused. According to a survey by VCCI, many companies said that only a few business registration procedures can be made online and few specialized inspection procedures can be settled on the National Single Window (NSW). Construction permits have initially interlinked with fire protection procedures but the degree of connectivity is still low. Tax payment is more favorable for enterprises, largely thanks to information technology application but unclear, inconsistent tax laws result in misunderstanding between enterprises and tax authorities. Property registration procedures, despite improvement, are still made separately rather than joined with construction, public notarization and tax payment procedures. Besides, administrative procedure reforms progressed in many localities but online procedures are still slow and problematic. Although inspections progressed, up to 40% of companies were subject to more than two inspections a year and 14% reported replicated inspection contents, according to the VCCI survey. Although the business environment has improved, a lot of obstacles remain with distant gap between reform results reported on paper and reality. What should Vietnam do to eliminate the disparity between regulations on paper and practical enforcement? Institutional reform remains a central task of the Government because the legal system and procedures related to the business environment are already complicated. Despite a lot of improvements, Vietnam still ranked 5th in ASEAN in the business environment. Time to carry out regulations on administrative procedures in Vietnam ranked 68th in the world, around the middle of the list. When institutional quality is average, it is hard for us to escape the middle income trap. Therefore, business institutions and regulations will be still very important issues that Vietnam must resolve, not enforcement issues. The message, policy, and direction are clear but a lot of efforts are needed to materialize institutions and regulations. The Resolution of the Party clearly states that, from now to 2020, Vietnam must basically complete the market economy institution based on advanced standards adopted by modern, integrating economies, while enhancing professional ethics and streamlining the apparatus and the staff. I just want to emphasize that Vietnam is facing not only enforcement issues but also legal and institutional imperfection. Inconsistent and non-transparent laws are a major obstacle to enforcement and a source of corruption. 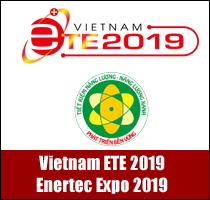 Two new-generation free trade agreements, EVFTA and CPTPP, marked an important step forward for Vietnam in the integration process approaching world standards. Could you please tell us what opportunities that Vietnamese businesses will grasp from these deals? Joining new-generation free trade agreements (FTAs) such as the Comprehensive and Progressive Agreement for Trans-Pacific Partnership (CPTPP) and the EU-Vietnam Free Trade Agreement (EVFTA) is an opportunity and a great pressure that all levels, sectors and economic sectors need to overcome to secure sustainable, strong and effective development. PWC published a survey of nearly 1,200 leading CEOs from 21 APEC economies. Vietnam overtook China as the most attractive economy to foreign investors for a second straight year in 2018. Standing after Vietnam in the Top 5 included China, the United States, Australia and Thailand. 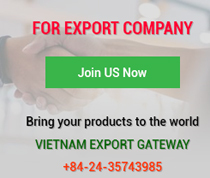 According to the survey, 34 - 40% of respondents in Vietnam expect new FTAs will help them increase their sales in the future. Global trade and value chains are shifting and Vietnam is forecast to be among countries significantly benefitting from this process. However, all is just a chance. The biggest challenge for Vietnam is to realize opportunities that CPTPP and EVFTA bring in. 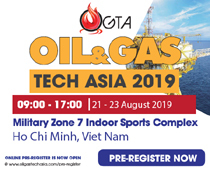 In addition to utilizing tariff preferences, in other words, realizing export opportunities, many other opportunities of investment attraction, employment, income and institutions of CPTPP and EVFTA have high potential. How to make them come true is more difficult. To overcome this challenge, there are many things to do. For example, for its part, the State needs to effectively review commitments, anticipate impacts clearly and have appropriate plans to implement these deals effectively, assist businesses to embrace opportunities and plan economic support policies in the face of unexpected impacts from CPTPP and EVFTA. Meanwhile, businesses need to understand well commitments, and foresee opportunities and challenges from CPTPP and EVFTA to have appropriate preparations. Exporters must know tariff preferences of these deals for their products and markets as well as conditions on rules of origin before searching supply sources and adjusting production to match traceability and origin requirements. You once said that, to further improve the business environment and promote business development, we need specific solutions. So, what are those solutions? I want to talk about many solutions. Specifically, there are consistent criteria in reducing business and investment conditions and specialized inspections: What to be kept and what to be removed. Therefore, it is necessary to agree on business condition standards to ensure effective and consistent enforcement. In the past year, the Ministry of Construction took the lead in establishing a ministry-level interagency single-window center. This model should be replicated and added with administrative procedures under the jurisdiction of different agencies. Enterprises should only need to submit documents at one state agency and enterprise information will be automatically exchanged among agencies once requested without having documents submitted at each agency. It allows them to do many procedures at the same time instead of doing one by one. In addition, business associations should be assigned to prepare contents and attendants to answer questions raised by people and enterprises rather than authorities. Independent bodies are needed to supervise this process and announce settlement results to people and businesses. Provincial inspectors are tasked to conduct local corporate inspections, even those performed by central authorities. Inspections must be planned in advance to achieve three targets: Reduce inspection visits; avoid replicated inspections; and maximize inter-agency inspections instead of separate actions. Applying risk management principles in inspection and control must be mandatory rather than optional. Central and local authorities also need to enhance transparency and publicity on their websites, particularly information about development plans, investment plans and projects, public investment projects and public-private partnership (PPP) projects. Although Vietnam has done a lot to improve the business environment, results have not met expectations and reforms still need to be accelerated, especially in the context of enforcing new-generation FTAs, if Vietnam does not want to lag behind ASEAN's leading economies. Thus, the Vietnamese business community supports more aggressive reforms backed by the Government and the Prime Minister, including two very important ones: Cutting burdensome administrative procedures and developing e-government. As for businesses, how should they try? The business community must also be transparent, improve competitiveness, restructure and enhance governance capacity, and do responsible business. It must pursue sustainable development, achieve economic, social and environmental goals, and minister to the community. In particular, doing mercenary business and relying on give-take mechanism is an unsustainable and irresponsible way of doing business. In the era of Industry 4.0, I think that companies should not think of technology only, but rather think of business culture, social responsibility and sustainable development. Partners will choose responsible business units that always ensure community benefits. 2019 is a very special year - The 50th anniversary of President Ho Chi Minh’s testament. Imbued with his thoughts and desires, we must have a broad vision, aspire to rise up strongly, promote national strength, strive to make our country more prosperous and more beautiful as he and millions of Vietnamese people have wished. We must try our best to successfully achieve social and economic development objectives and tasks for 2019 and for 2016-2020.